How do I use PrEP? Become a PrEP Warrior and sail with us! Sum­mer is fast approach­ing and our cap­i­tal city will soon be burst­ing at its seams again for Ams­ter­dam Pride, the largest LGBTQI+ event of the year. The high­light of Pride is the tra­di­tion­al boat parade along the canals, which will take place this year on Sat­ur­day, 4th August 2018. This is a per­fect moment to put PrEP ful­ly in the spot­light. We are not going to miss out on this oppor­tu­ni­ty, because – for the first time ever – we will join the parade with our own PrEP­nu boat! And, even bet­ter: YOU can sail along with us!!! Sail­ing along dur­ing Pride is a unique expe­ri­ence, and when you join us on board the PrEP­nu boat, you will also do your part to raise aware­ness for PrEP. This is crit­i­cal­ly impor­tant, because PrEP is an indis­pens­able weapon in the fight against HIV. On board our boat, we will present our­selves as the PrEP War­riors: heroes of HIV pre­ven­tion and epic Greek fight­ers. As Pride approach­es, we will be unveil­ing the details for how every­thing will look, so please stay tuned! Would you like to be a part of this unique ini­tia­tive and help keep up the fight for the PrEP rev­o­lu­tion? 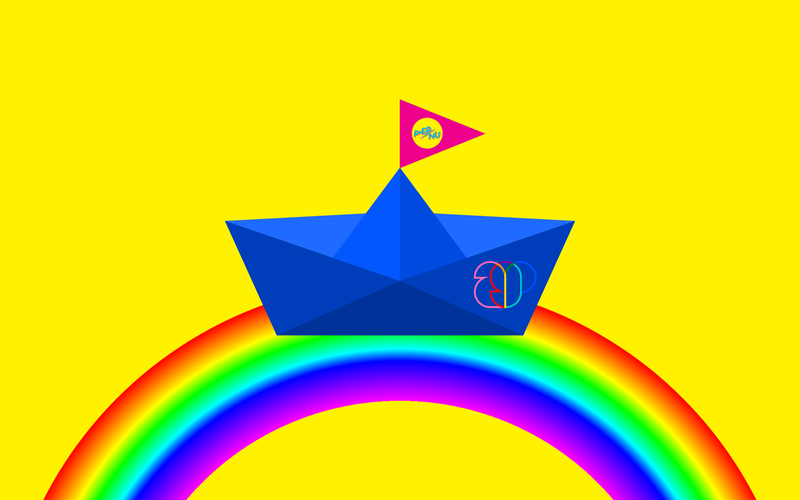 Sign up to sail on the PrEP­nu boat via the Ser­vice Point of the Dutch HIV Asso­ci­a­tion (Hiv Verenig­ing): servicepunt@hivvereniging.nl. Please use the sub­ject line ‘PrEP­nu boat’ and be sure to include your name, age, phone num­ber and cloth­ing size in your email. All reg­is­tra­tions must be made indi­vid­u­al­ly. If you will be join­ing us with a group of friends, we ask each mem­ber of your group to sign up indi­vid­u­al­ly by email. The fee for tak­ing part in this unfor­get­table after­noon is €100. The first ten peo­ple to reg­is­ter will enjoy an ear­ly-bird dis­count and pay only €90. This offer is valid until 20 May 2018! What are you wait­ing for? If you don’t feel like sail­ing along with us dur­ing Pride, but still want to sup­port our ini­tia­tive: we glad­ly wel­come any dona­tions. Please trans­fer your con­tri­bu­tion to account num­ber NL31 INGB 0000 2769 79 in the name of the Hiv Verenig­ing, and state Dona­tion PrEP­nu in your descrip­tion. We are grate­ful to receive dona­tions in any amount! Now is the time! Join us. Be PrEPnu!